Experimenting with the taste of wine is a never-ending process leading to new wine-tasting paths and interesting wines. 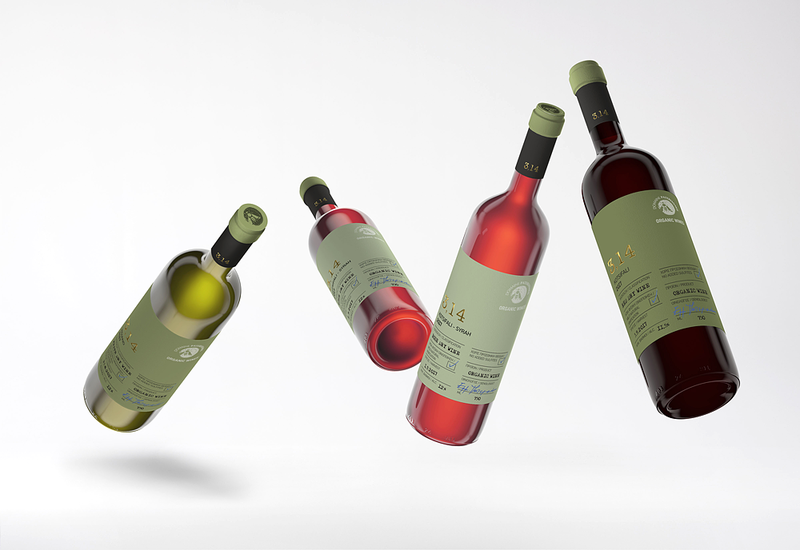 The goal was a label focused on the special features of the wine: experimental wines without sulfites. Τaking into account the long journey of the Oenologist to reach the final product, we decided that the number 3,14 would be its name. The number with the endless decimals (π = 3,14), without knowing the last one of it, was the inspiration for these wines without sulfites of the Domaine Paterianakis. 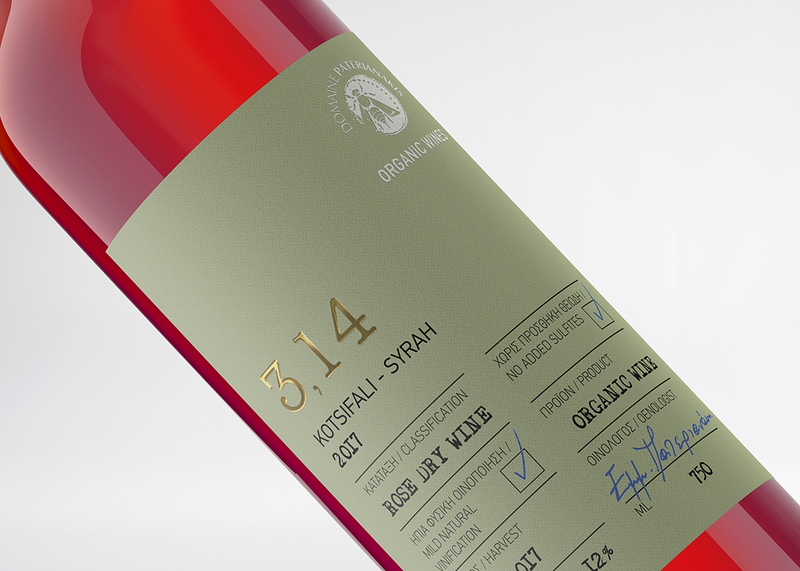 Our main consideration for the design of the label was that the features of the 3.14 wine series should not go unnoticed and lost in pictures or graphics. 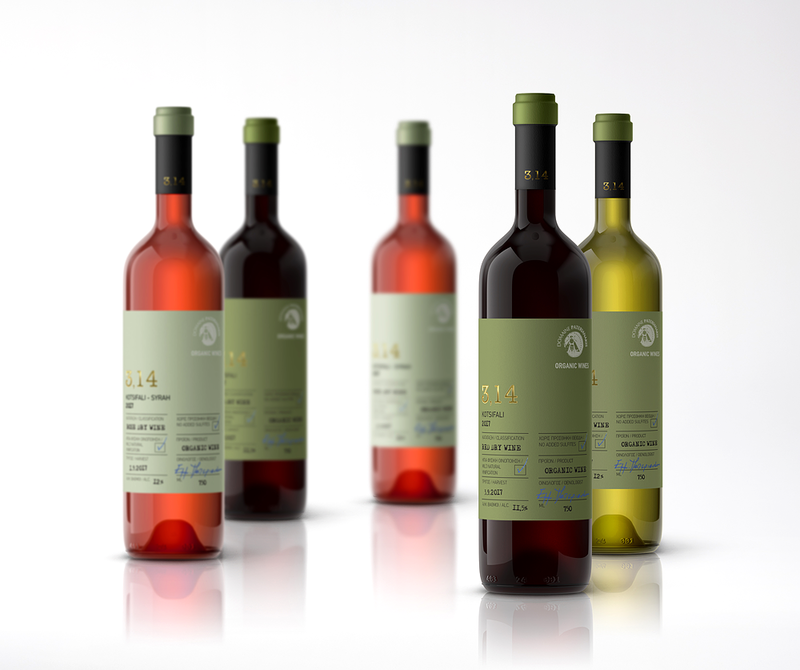 So with a minimalistic and simple approach we emphasized on the special features characteristic of these "natural wines". 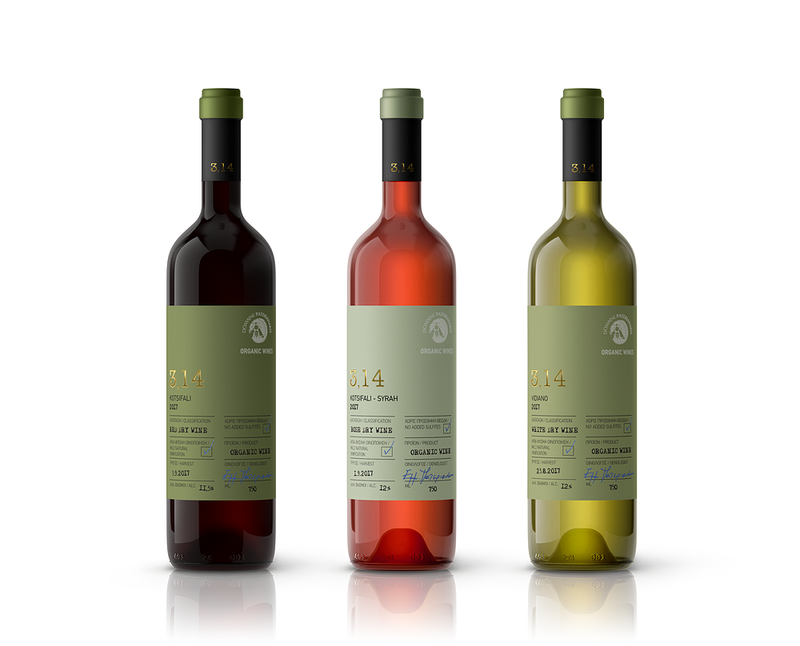 The label reminds of the Oenologist‘s notes tab, while the specialty of the wine "natural wine" is stamped through the green background. The gold detail of the name was the last touch to make this label unforgettable. The endless experiments of the oenologist were imprinted on his notebook and printed on a label of such a special wine.